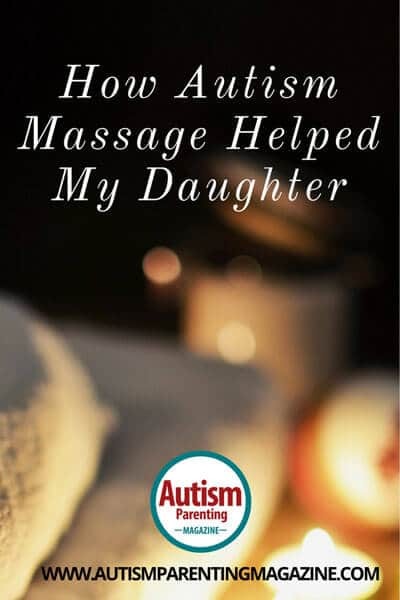 Hi, my name is Leslie Burby and I thought that I would share my experience about how the autism massage helped my daughter Mary. In the next edition of Autism Parenting Magazine, we will be doing an interview with Dr John Pagano who is a specialist in a special type of Qi Gong massage that is helpul for children with Autism. So let’s start with how I met Dr. John Pagano, (the man who performed the massage on my daughter.) Did I know him previously? Well, I didn’t know John. I was taking my daughter, Mary, to occupational therapy, physical therapy and oral therapy for feeding issues to a special therapy center in Watertown, Connecticut. Just about a month after we moved away from Litchfield County and stopped attending therapy sessions, I was contacted by a person that worked in the Watertown Therapy Center and they asked me if they could give my contact information to Dr. John Pagano, who was conducting a study. He was learning a method, of a certain type of autism massage. 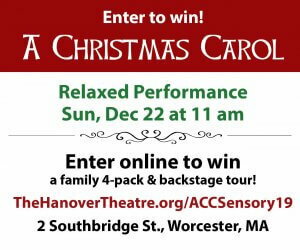 It was supposed to be helpful for children like my daughter and since my daughter was in the age range and a textbook definition of an Asperger child with behavioral issues that seem to improve with this type of massage they wanted to try it. At first, I had many reservations. How could a massage help my daughter? And, I don’t want anybody touching my little girl. Who is this man? Who’s going to be having his hands all over my daughter’s body. It was a little scary to me. However, he understood my reservations because he is a parent, too. He was very understanding. He gave me a lot of literature to read and a video from Qigong Institute. It’s called Qigong (pronounced chi-gong) massage and it has been proven to help children with autism to help alleviate a lot of their anxiety and symptoms and meltdowns. 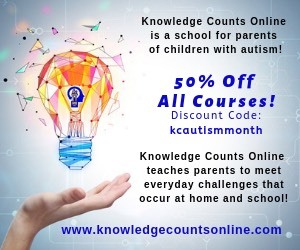 To help them (children with autism) go to sleep better and stay asleep longer and all of those were many of the issues I was having with my daughter on a daily basis. In fact, it would take me about three hours to get her to go to sleep, even on a strict routine. Once I did get her to go to sleep she would wake up repeatedly. So I was never sleeping and the meltdowns were really bad. Now she’ll have a meltdown but it’s only about once a month, before it was about twice a day. And the meltdown would last about anywhere between one hour and three hours. She would throw things, become very violent, harm herself, at one point she harmed her sister, she broke both the bones in her sisters forearm. Meltdowns were a serious concern in our house for her safety and for ours. So after reading the literature, finding out that it was scientifically proven to be helpful and that he was willing to do this massage for free as a child study, I agreed to let him perform the massage on Mary. After all this was helping him learn the method and in turn my daughter would be getting services for free, which we needed at that time because money was extremely tight. So, I of course consented and I told him I wanted to be there. He said of course, parents are always present during the massage, during the entire thing that in fact the whole purpose of this massage is for the parents to learn this type of massage. So they can do the massage daily to their child as needed. The massage is a 9 week course and they come to the house and perform the massage for 30 minutes. In many states, you drive your child to a center and they perform the massage on a massage table at the therapy center. In this case, we did the massage on our couch. We lived in an extremely small townhouse and the only place was our couch. Mary was very resistant at first and to help her, we used a special Qigong pamphlet (made by the Qigong Sensory Training Institute www.QSTI.org) that was meant for children that has pictures and explained step by step what the therapist is going to do before they even start. Because like most children with Asperger’s, having pictures or a chart to explain things, the routine and the order of things is extremely helpful and relieves a lot of anxiety. So John read the pamphlet to Mary and we showed Mary pictures so she knew what to expect and she came to really enjoy it. At first, to be honest, when John would come, (around dinner time), she would run and hide and we would have to get her to come out and lay down and it was an ordeal. And, I was starting to wonder if I made the right decision and if maybe I should make him stop coming. Was this just one more battle that I was putting on the family? One more struggle I had to face every day with her? Just about the time I started to have those reservations, she started to ask for him on a daily basis. She nicknamed the massage “patpat” because you actually cup your hands like this and you pat at the top of the head. That’s actually how you start by putting this repeated motion and pressure. It helps calm the body and it really helped her. I couldn’t believe how useful it actually became. So now Mary asks for “patpat,” whenever she’s having a really bad day. If she’s very stressed and if she feels her central nervous system is just out-of-whack. I can tell when she is having a bad day just by looking at her eyes. It’s almost like her skin is crawling and so she tells me or she’ll ask my husband or I to give her “patpat” at night. It helps relax her and calm her and she’ll drift right off to sleep. If she doesn’t have “patpat” she’ll have trouble calming down, relaxing, she has trouble closing her eyes. She’ll have trouble going to sleep, she’ll have trouble staying asleep and everything involved with sleep. All day long is a struggle for her to get through. Her sensory issues will just drive her insane but “patpat” is extremely helpful. To chart the progress, we filled out questionnaires. They had specific questions about what type of behaviors we wanted to see improved, how often she was melting down? How often she slept? What medications she was on or sleeping aids? As the weeks went on, we did more questionnaires (BUNSE Checklists) and they checked in to see if the behaviors were improving, how often the meltdowns were occurring? If her sleep patterns had improved? And they had. In a matter of months, it was like all of the major stressors I had before; the major concerns I had, were gone. I mean of course, she still had the occasional meltdowns and of course, she still has the occasional bad day but did the massage work?? Absolutely, and I was probably their biggest skeptic. I have to say I was presently surprised and John became such a pleasure to see. Mary looked forward to seeing him. On a typical “Autism Massage Day,” Dr. Pagano would come in, Mary would lie down on the couch without her socks and shoes on, and he’d do the massage. He would ask how her day was while the massage was going on. He would ask questions like: Oh! Christmas is coming up, what do you want? What went on at school today? It would take many questions to get any information out of her because she wasn’t a big talker then. She would give you one word answers- I’m fine. If asked, “What did you do in school today?” She’d say, “I learned.” or “I played.” You wouldn’t get any information and after (it was about) 3 months, it was almost like a different little girl. You’d ask her a question and she had so much information you couldn’t get her to stop telling you details- the elaboration was unbelievable and it was really amazing- it was really touching- it was like there’s little girl in there that so desperately wanted to tell me all these things and that wanted to calm down and go to sleep like all the other neuro-typical children (like her sister) to just lay down close her eyes and go to sleep- but she couldn’t do that- because her central nervous system was just all haywired- and now she could. 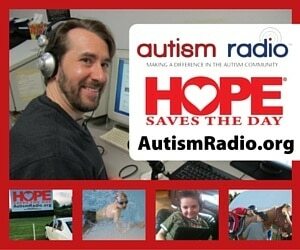 The reason why I wanted to interview Dr. John Pagano is because many autism methods go unnoticed. I had never heard of Qigong massage and the Qigong Institute and I want other families to know that there is help and hope out there. Your child can learn how to sleep better. That your child can learn how to ask for help such as: I’m having a bad day, can we do the “patpat?” Can we do the massage? 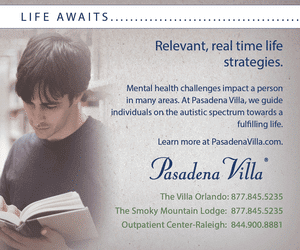 It is helpful for children with autism and it is helpful for children with other behavioral issues. It is scientifically proven to be effective and I’ve seen it first hand, which is why next month’s issue will have a full interview with Dr. John Pagano. 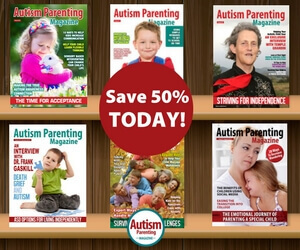 Leslie Burby is the former Editor-in-Chief of Autism Parenting Magazine and a public speaker on autism related issues. 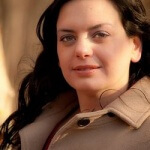 She is the author of three autism related books: Emotional Mastery for Adult's with Autism (2013); Early Signs of Autism in Toddlers, Infants and Babies (2014); and the children's book Grace Figures Out School (2014). She resides in CT with her husband and three kids. Two of her three children are on the autism spectrum. She is a Board Member for Hope 4 Autism and is working with IEPHelp.com to encourage schools and parents to work collaboratively to improve education for all special needs students. Before becoming a mother, Leslie tutored special needs students while running her statewide tutoring company, L.D. Tutoring. She attended Franklin Pierce College and the University of Saint Joseph. Leslie spends most of her professional time writing, advocating, innovating new programs and researching the topics of autism and parenting. My grandson have mild autism, but now he is much better after gone to a therepy. But I wanted to know do we have to shout at the child & scold at the child when he doesn’t follow our instructions, ours doctor said so, he said that if not scolded the child will not be corrected. Is it true. Sometimes i feel so sad that his parents shout at the child so harshly. I don’t know what kind of doctor would recommend shouting at an autistic child to correct him. Time to find a better doctor, preferably a developmental pediatrician. Thanks for the useful article! I always appreciate when people share their real stories. It shows a real generosity of spirit. Massage is a wonderful thing! Many thanks for great and quite informative article ! My grandchild son lives dar away from me and I feel very sorry at the end of any call his mother ( my daughter) phones me ! voicing a lot of concern regarding his daily and unstoppable behavioral issues . He is 2 years 10 months old with many issues affecting the life of his parents . Almost like the case in the above article…hurting himself and sleepless nights or several wakes up during night ..
All doctors checked him refused to diagnose him with autism or even ADHD but might be partially ADAH . his mom always suffering giving me bad impression every morning on long calls . I refuse all sort of medications for a young child and I am about to tell her to leave her home and come to stay close to me so I can also help her watching the child . I hope one day I can find somebody helping us to try this new technique to sort out our current problem with this child . Hi Esmat! We’re so sorry to hear that your daughter is going through a lot with her child on the spectrum. We have tons of articles which may help. Feel free to check them here https://www.autismparentingmagazine.com/autism-article/. We also encourage you both to join our Autism Support Group For Families that provides a place to share experiences and advice, and to connect with other families. Here’s the link: https://www.facebook.com/groups/566088137102192/ See you there! Love massage and it’s great to learn more about it! I think massage is a fantastic thing. What about teenagers with ASD? Does this massage work for them? Good question, Jackie. According to Qigong Sensory Training Institute, QST massage also benefits children older than age 12. For more information, please visit their FAQ page here: http://www.qsti.org/faq.html. This is also known as Reiki. Lay of hands healing. it is very relaxing and helps alot. Many people are healers and don’t know it. I use Reiki on my five year old with Autism and it calms him down. Enjoy reading and don’t forget to share these articles. Cuz massage stimulates the nervous system and improves blood circulation!